When I read articles like this one, by Campbell Brown, I feel a little like Michael Mulgrew were a contortionist, busily painting targets on his own back. The best part about this article is the Post's description of Brown's group as "nonpartisan." For someone who isn't partisan, she's certainly got a pretty extreme opinion. I'm certainly partisan. I think she's a tool of those who wish to destroy us, and that's why she (or whoever writes for her) writes such blather. But the fact is, along with Mulgrew, we're also to blame for this. The reformy playbook says schools are failing and need to be fixed. It says the problem is the teachers, that we have too many job protections, that we are awful, and whatever else the papers constantly berate us for. The solutions, of course, are to rate us by rubrics, give tests, and get rid of the teachers whose students don't do well enough on said tests. Bill Gates, guru to the reformies, has pretty much admitted that poverty is too much for him to tackle. Instead, he imposes his will on schools by waving money around. He encourages charters, junk science ratings, Common Core, and endless testing. To Bill Gates, a test score is the only indication of progress. For him, it's something we should all be striving to improve. And via targeted money he and his reformies enabled Race to the Top, which pretty much compelled the entire nation to submit. Our leadership, unfortunately, buys into this narrative. That's why they started UFT charter schools and actually co-located them just like Eva Moskowitz does. Brown, of course, condemns UFT for not taking a representative portion of high-needs children, though she has not one word of objection when Moskowitz does precisely the same. I haven't heard a peep from her about the blatant abuse of children in Moskowitz schools, recently available on video. So much for her "non-partisan" nonsense. Now I may have a discouraging word or two about Mulgrew and his pals in leadership, but I don't think they'd condone the sort of abuse that goes on in Moskowitz schools. Well, too bad for them, because that's how you play the charter game successfully. We ought not to be in in at all. We ought not to be emulating those who want us to disappear. We ought to recognize the value of public schools and advocate for programs that help all the kids we serve, rather than placing band aids here and there and hoping for the best. It's particularly egregious because the charter game, as played these days, is designed precisely to enable invidious comparisons between public and private schools. As if that's not all, I've been hearing from Mulgrew for months about his plans to turn around so-called failing schools in the city. 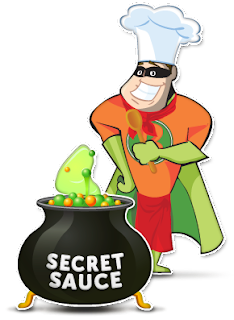 Despite his inability to resuscitate ailing UFT charters, he musters the hubris to proclaim he has the secret sauce that has eluded the reformies forever. We bought their faulty premise and are playing their rigged game. That's why we fail to step up and support opt-out, the most powerful support for NY students at this time. That's why, when ESL students are robbed of instruction by Part 154, UFT leadership does absolutely nothing to help. That's why we give Campbell Brown ammunition to make faulty arguments proclaiming that the UFT Contract is the source of school failure. I have a message for you, Michael Mulgrew. The people you call smart and tactful each and every month are not nearly so smart as you think. That's why we are where we are. If you were smart, you'd stop playing the reformy game, which is rigged even more than the upcoming UFT election.